Google fails the "Don't be evil" maxim when it comes to climate censorship? | Watts Up With That? That screencap is from April 22nd, 2011. ADDED: Some folks suggest it was solely the use of the “f word” in search that triggered it. If so, why is there no block option for Lucia’s the Blackboard? I ask readers to try getting that message to pop up searching for specific titles on Real Climate or Climate Progress and other pro AGW sites. I tried and could not back then, though it is possible the algorithm has changed in the month since I tried. I’ve also noted that once you ignore the “block all results” option, it does not appear again (for that website). Your experience may vary, I’m only reporting mine and it appears that once you have a look at the content you get the offer to block, the option goes away. So I can’t repeat it without doing a reinstall and registry cleanse. What prompted me to publish this screencap today? I needed confirmation that something was afoot. So, it appears if you can’t beat them, censor them. I hope I’m wrong about that, but this graph below suggests that my traffic has been impacted by changes in search engine algorithms, Google of course being the lions share. The blocking option might be a one shot deal, but the step change and continued lower results (for WUWT search hits) concern me. I had a large traffic spike in December 2010, related to the COP16 climate conference worldwide interest, but no corresponding large uptick in search hits. As I stated on another site, I no longer use Google for Climate searches. I think it was in one of your articles about the time of Climategate, where the comment was made that Bing brought up much better hits than google. it was then I realized they had already started doing that – this latest is just their dropping any pretext to objectivity. Agreed. For a while, some time back, this site was coming up at the top of searches when I would Google a phrase or quote form a WUWT article. I was impressed. I supposed it meant that WUWT was getting high traffic and high search results, thus making the site prime real estate for Google and their ad machine. Apparently profit motive and “do no evil” take the back seat when it comes to pushing progressive agendas. Gives block options for both your site and real climate. This new feature is probably algorithmic and not specifically targeted at ‘deniers’. Does it only work for Chrome? I use Firefox and I don’t have the option to block any search results. It is more likely a feature to deal with content farms and scrapers, crowd sourcing the use of ‘block this site’ to bias overall search rankings. Thank you for pointing this out in your typically fact-based way. If that chart were inverted and labeled “global temperature,” Michael Mann and Rajendra Pachauri would be shouting “Incontrovertible proof!” from the rooftops. Seriously: this is scary. For you, for us, for the public. Ultimately for Google, because it shreds their cred. And without that, they are nothing. Between this kind of “kindly smothering” and “nudging,” and the exposure of their enablement of privacy erosion, they are under new pressure. I hope they respond as conscientiously as their slogan suggests. But their slogan implies a dualism: either “don’t be evil” or else “be evil.” The problem is, as Edmund Burke showed us, “all that is required for evil to triumph, is for good men to do nothing.” So not being evil is not enough. You have to work to be good. I use Bing. Not because they’re better, or I’m in love with MS necessarily. They’re just the best “not Google” search engine at the time. But, most of the time, I know what I’m looking for anyway, and where to go. This needs watching but I think you need some more information before suggesting this “feature” is specifically targeting WUWT. It also appears to be broswer feature rather than google.com. Wuwt still shows up as #1 for that search for me (currently on an iPad). This is potentially really scary, but let’s not jump to conclusions! The problem is likely at Google much as it is at many newspapers. You have people with a certain world-view who sincerely believe they are out to make the world a better place who decide to “make a difference” by advancing that view through their work. The problem comes in when what they believe to be true might not actually be true. Some people are likely to suppress or censor information that is counter to their own world-view as it calls their entire belief system into question. If they could be wrong about climate, maybe they are wrong about a lot of other things, too. Heck, next someone will be telling them that they are all wrong for buying that “fair trade” coffee. Thankfully, I do not get the blocking option either (pre-Chrome). Maybe they didn’t bother to implement the feature for older systems, knowing that old folks like me generally don’t limit our knowledge to initial results from a search engine anyway. Truly, though — that screenshot is pretty evil. Blocking was an experimental extension to chrome, they must have made it live. Really this is nothing to freak out about as a specific attack on your blog. I don’t think there is a way to get round it. You can trigger it for any site, seems to be relevancy related. Allows you to ‘block google.com’ for one of the results on the first page.. The bad news is for that feature to be offered, Google will have had to already decided the site is a candidate for mass rejection. Not surprising for the single most evil enterprise on the internet. Basically, you’re screwed, Anthony. Google, having made up their mind about your site, is sharing their opinion with others in a clever example of passive aggression. Personally, I’d like to reject all results from ExpertsExchange as it is an extremely annoying site that, based on google results, has every answer to any question except you can’t see them unless you open an account with them. It is a search engine bunny trail. The Google reject option is present only if you are silly enough to have a google account *and* are actually logged in. One more strike like that should be grounds for having your computer confiscated. When you have a google account and are logged into that account your life is like an open book and Google has scanned every page. That, my friend, is evil. Don’t be evil depends upon what you consider to be evil. Obviously the freedom of the internet is going to be compromised. the question would be is a permanent block or temporary, long-term or short-term. 1) First time i heard Google’s “Don’t Be Evil” mantra i though, “Yeah, as if…”…. 2) When the warmist fanboys decide to see nothing, hear nothing, they cut themselves off from reality and finally make the full scale transition to a cult (Rule number 1 in a cult is to control the information the cult members get). This will weaken them further. Wholesale descend into mass madness RSN. Climate blog gives me WUWT on page 2. Climate skeptic gives me WUWT on page one, item 6. I have a dev channel chrome, with the blocking extension installed for the same blocking expertsexchange reason as dp and the option is presented to block docs.google.com and google.com. Did you log into your google account before searching? 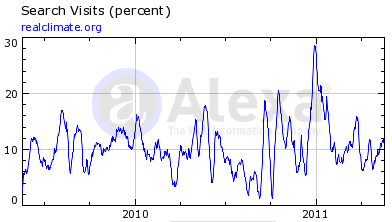 As for the Alexa rankings, you would be better off using a dedicated web stats system. They use a pretty dodgy sampling method..
I’ve started using dogpile (no joke! )–the good part is that it is neither Google nor Bing–both of whom are owned by less than stellar companies when it comes to ethical behavior. Is this the first casualty in the UK of the Carbon Tax. No “Block” option for me when I execute that search. Latest Chrome in use. The power to corrupt – needs congressional examination methinks or wider exposure via competitors, perhaps a Bing sponsored contest for words linked to name!! How long until the algorithm is rewritten to change this? A Google search for “F-word Fusillade” using Chrome has WUWT in first place and a option to block on every site returned. Same Google search using Firefox gave me the same sites, but without the option to block. I like the idea of an option to block a site if you have the option on every site. Either way the site is a bad joke. I’m using Yahoo for searching. It’s not as good as Google, but I stopped using Google when you point out that they were actively sponsoring Alarmist propaganda. I made Yahoo the default in Safari and Camino (the two browsers I use on my Macs). RockyRoad, I think Dogpile is a compilation search engine, which therefore also incorporates Google and Bing. DaveS-Tata is the Erstwhile Mr. Pachauri involved in that….. So the “block” option probably comes up when the hit contains something that might be indicative of dirty sites (“trans”, “f-word”, …)? I don’t have this site bookmarked so I search for it on Google every time I want to read this site. At least on this computer. I have it bookmarked on my other one. I have noticed that about a year ago when i searched i had to suddenly type “watts up with” in order to get the result i want….before i could simply “watts u” and get the result. I no longer use Google for anything. I can’t trust them and there are other search engines. really?? No offence, but this is ridiculous. When I google “wuwt fword”…. I get a block site option. When I google “wuwt climate”…. i dont. When I google “skeptical science crap” I get a block site option. When I google ” skeptical science models” I dont….. Even if I google “skeptical science wikipedia” for some reason I get the option to block WIKIPEDIA! Did the same search on a danish version of chrome. WUWT was 1st choice, but no option to block anything. I don’t think it is coincidence that the blogpost that caused the “block this site” query was the “F-word Fusillade”. Post. Perhaps the censorship was not climate related and your complaint is off target. Something changed between 2010 to 2011 as the graph displays. The question is what happened. The step change is so dramatic that you may be able to pinpoint the day it happened. Where this would lead, I am not sure but it may be worth investigating. Let communist journals like nature keep the skeptical studies out of it and et voila most published studies comes from crazed climate communist hippies. What ever the newly developed googleniztas does is to make sure they don’t come under attack from the crazed climate communist hippie parade for using all that electricity they use. And of course they also want green subsidizes. So it’s like a win-win for them. Anthony. I had a strange feeling something was going to happen today, and it has! I’ve found the first real tangeable evidence of environmentalists flipping from “too much fossil” we’re all doomed, to the opposite “too little fossil fuel we’ve all doomed”. OK, one snowflake doesn’t make global cooling, but where one leads, others will not be far behind! If Google wants to block a “content farm,” they should block Real Climate. That site is so full of B.S. that I have to wear rubber boots when I stop by. One action could be to create a mirror site on Google’s Blogger. I have noticed that some recent visitors have come by way of such broad search-terms and phrases as “circular reasoning in attribution of climate change”, and “climate change” to the Impact of Climate Change site, and that new posts are searchable within minutes of being published. OMG read this from the download site of the personal blocklist program!!!!!!! I’m sorry…but I lost some respect for this site today. between using the “F-word” and Blackboard’s using “F word” or “f word”? Although, that doesn’t explain everything. Now I may be wrong, but wasn’t the president of google quoted as saying ‘deniers’ should be treated as criminals? I seem to remember this around the time of Climategate. I also remember entering “climategate” in google for quite some time afterward to see if it was true that the word would not register. It was true. Nary a mention of it in google or the MSM for at least a week, if I recall. I used to like Google once, and used to support their products until very recently. I have since stopped using an Android based smartphone and ended up getting an iPad instead of my originally preferred Android based tablet. I do not use Google’s search engine and removed Chrome from all of my computers. Google is like that character in Toy Story 3 “Lotsa Huggs.” One of the best villains ever in a children’s movie. It surely can‘t be a matter of naughty words. If I type “Grattan disdain” in a Google-search, a post by me (wherein I describe her using the c-word—and I don’t mean cancer) appears, on my computer, at the top of the page. The fact is, Google has long stopped to be a search engine company and has become a gigantic personal information collection and profiling, advertisement and marketing database company. Google has been screwed up for long now. For example, I just searched for ‘global warming’ on Google. In the first instance, globalwarmingheartland.org showed up in the first few links. Since I have Instant search turned on, the moment I actually pressed ‘Enter’, I get a slightly different set of results and globalwarmingheartland.org is gone. It does not show up on the results page. I just checked on 4 other systems and I am unable to bring up globalwarmingheartland.org in the results searching for ‘global warming’. I think this follows a pattern. Some of us are persistent and believe that our strength in numbers will defeat this junk eventually – we stick around, in varying degrees of interestedness. Most people have neither the resilience, or time, to carry on after they realise that the whole thing is agenda driven control freakery and think they are powerless, so drift away or hope it will sort itself out. The churn rate would keep a certain level of visitors even if they were constantly being refreshed as some joined the war and some fell off the end. No. It was what they planned all along. Shift production to India and cash in on the carbon credits. Worth a lot more than they paid for the company. The blocking feature doesn’t seem to always work. Maybe it hasn’t been rolled out to all servers, or maybe at times the servers forget your state. 2. You do a search, follow a search result link, then come back to the search results page. 3. The “Block this site” will appear in the search results. 3a. Blocked sites are visible somewhere in your Google account management. Personally, I’ve always been partial to Ask.com (the old “Ask Jeeves” site), because they were the fist to allow more than a single word search (could input full sentences, and get results). So, to check there, I put in the statement “F-word Fusillade”. You came up as number one. No option to block. kadaka (KD Knoebel) seems to have the answer. On Firefox, I can get the block message on any site by clicking on it, then going back to the search. It offers that option every time on every site I tried. Google explains what they’ve done in this video. In summary, they rolled out a change last May that attempts to detect “content farms”, i.e. sites that contains many references to other sites rather than original content, and reduce the search rankings for these sites. I would guess WUWT, with a LOT of references to other sites, got hit by this change. I wonder if there’s a component of being bitten by your own success. After one Google algorithm change the Hampton NH library page moved ahead of mine, which was a bit annoying because the library site just had a list of links. I eventually concluded that Google liked the short, focused, lotsa references to her name and that my page was longer, covered more people and topics, and overall was more dilute. I wonder if the same is happening to WUWT. Where a post used to get 30 comments, it now gets 100 or more. The overall page is now a lot longer than it used to be and if you’re searching for a phrase from the original post, the “quality” of the hit may be reduced due to the other text on the page. As for Pame, I figured I’d just wait for the next algorithm change and a few months later I was back above the library. These days Wikipedia, the official pamelasmart.com page and other new stuff scores higher. I keep the last update date in the title, so that helps. And my page is still #1 for searches for “Pame Smart”. Does not surprise me one bit. I have read a least half a dozen accounts of Google manipulating search results to reflect the left wing political agenda. Some may remember the Bush-Kerry election when Bush searches literally started with a page of results implying Bush was a recognized mental deficient. Google later said it may have been an employee error. There have been a bit of those “errors”. Well, here’s a screenshot of my search results for “F-Word Fusillade”. OK… This does work (though not in all browsers.) One way to get this block all search results is to do a google search, click on a result wait about 10 seconds and then hit the back button on your browser. If your browser is one that it works in, it will give you the option to block. I tried this in FireFox using a seach on the evil word “puppies”. I went to the first link http://www.puppyfind.com, waited 10 seconds and then navigated back to google using the back button. I then had the option to block all results from http://www.puppyfind.com. Although it is a personal block list, Google does look at the lists you create for “inspiration” as to what sites are causing most problems for people. The recent changes they made, which removed (or at least de-rated) a large number of garbage sites that always appeared high in the listings was based in part on results obtained from these lists. Google appear to have two conflicting problems – 1) they want to make money from the search engine, and do so by forcing “answers” to the top of the list, and into that annoying sidebar. 2) The need to generate relevant results. Number 2 is affected by people gaming the system, that is partly what the block lists are about, it give you some personal control, and it is also a source of information on what people are finding to be worthy of blocking. Unfortunately, number 2 is also affected by number 1. Google’s efforts to cram the page with paid results is rapidly making the Google search engine a pain to use. Much as I hate Microsoft, and know darn well that once its established it will become 1000x worse than Google, I am sorely tempted to use Bing. I expect the rankings will fall as the debate wanes. It’s actually a good sign, unless we want simply enjoy arguing over the senseless “science” of climatology. There are plenty of Science, technology issues to discuss here. The Google block feature should contain a feature to easily reset. Since it doesn’t, those who use it are intentionally biasing their search results. Maybe they get what they deserve. The strong survive, and the weak……. Interesting, in my case WUWT is the 4th for the term ‘climate blog’. The first 3 are: Real Climate, Climate Progress and Climate Audit. WUWT is followed by World Climate Report – a skeptic site again. I reject any type of personalisation because I would like to see as many viewpoints as possible. However, Google rankings are different by geographic region and web browser language. And lest you thing http://www.puppyfind.com was somehow considered a content mill or otherwise objectionable, I was also able to do the same with searches where I clicked through to http://www.whitehouse.gov, http://www.huffingtonpost.com, http://www.realclimate.org and http://www.nasa.gov. I’m pretty sure Google doesn’t have much against any of those sites. Not that I think a strongly left-leaning Google wouldn’t engage in censoring results (“climategate” does look suspicious,) but let’s look at other possibilities. Google has been trying hard, for years to get “spammy” sites out of its index. They had a recent major update (Panda) that was supposed to help along those lines. Some innocent sites were hit, some junk survived, but a fair amount of junk was cleared out. Junk that anyone would agree is junk, regardless of their political leaning. At the time G stated that it was interested in looking at crowd sourcing junk and “not junk.” I expect the “block this site” is part of that, as shown by the comments above with Real Climate blocks. Now what if we get a bunch of energetic activist types, who realize the implications of this, who load up their Google Chrome and then make it a point to block WUWT or any other “not approved” site whenever they get a chance? That would raise a lot of flags at G central. Until the flags are cleared it seems that there is a chance there might be a penalty associated with rankings. Also, it might be that people, becoming convinced that Warming (Gore’s version, anyway) is a scam, just aren’t searching on climate related stuff as much as before. Global Warming – note the el nino spikes in that graph. climate change – Note the huge (cherry picked) downward trend since the el nino spike of early 2010. G would look like it was censoring/blocking, when it was doing no such thing. The problem with crowds determining what’s Ok is that you need honest crowds. The concept would probably work well with gardening sites, but badly with political sites. Personally I’d take it as a compliment. Think of it this way. Google are nothing if they loose their reputation. So the most important thing to google is their reputation …Yes? No! Making a small adjustment to your ranking seems to be far more important to google. So by definition your website is more important than the most important thing of google … it reputation which makes you almost by definition the most important website in the world, ranked by the biggest search engine. As I said, that’s one hell of a compliment! I quit using google long ago, when it broke that they were going along with China’s censorship campaign (which they more recently recanted). Startingpage.com uses google’s search engine, but keeps no tracking data for your searches. Bing is used as well. I was recently in the market for a new phone, and the Android phones are phenomenal, but I couldn’t bring myself to support google. Don’t care for Apple either. I’m not a Microsoft fan, but they’re the lesser of three evils, IMO. It’s not as great as the other two, but I have a phone I’m rather happy with, an HTC. I get an almost identical list when using Bing but it is a popup menu that disappears before I can capture it. Bing doesn’t even come close. I did a Google search for WUWT and your site was first in the results. It did not give me the “block all…” option . I opened your site and then hit the back arrow in my Firefox browser and the block site message appeared. I tried other searches and got the same result. I stopped using Google search engine several months ago after making a few test searches that indicated built in bias. It seems obvious that Google has politicized most of its products. Bing seems similar but somewhat less offensive. I switched to Alta Vista. I limit my use of Goggle software to minimum, that is Maps and Earth. I personally hate those content farms and am grateful for the feature from that point of view. How evil can Google be? As you know, Google owns Youtube now. Apparently they have been responding positively to the governments to remove unwanted content, just like they do in China. They also remove certain key words from their search engines apparently in order to reduce or eliminate traffic to certain sites. I tried that Google Chrome search and had no blocking option come up. Why should anyone be surprised by the suspicion that Google is quietly, slyly altering the outcome of anti-AGW searches. They did build a team of 20 spin doctors to help promote the AGW position. After William Connolley became the “Minister of Lies and Misinformation” at Wikipedia by single-handedly editing over 5000 articles it is not unreasonable to expect a similar but subtler scenario at Google. Choosing Bing is no better with Gates firmly in the warmist camp. There couldn’t be any pressure from Obama? Nah. The problem with allowing permanent blocking on Chrome is that some people use internet cafes. Before performing an experimental search on Google clear out your cookies, cache etc. I have found that previously clicking sites I interact with places them higher on the results page. I cleared out cache, cookies etc. performed the same search and down they went. That was my experience using Explorer though I now use Firefox. I have known for nearly four years that Google “filters” your search results of certain subjects so that your top two or three pages of search results will give you “liberal” websites and stories. Let’s not forget that WUWT was blocked from Facebook too. That seemed to be a result of ‘guerilla protests’ where individuals FB users were tagging WUWT as inappropriate with the intent of censoring your views. If we allow Google’s executives the benefit of doubt, there IS the possibility that the ability to block WUWT and NOT Pro-AGW websites is a result of another kind of ‘guerilla protest’.’ Essentially Chrome users have the ability to block WUWT because it is currently tagged as a potentially being content farm. I am further postulating that WUWT is tagged as a content farm because a small group of people (possibly at google or not) have a grudge against you and knowledge of how to game the system. When Google tells me their motto is “Don’t be evil”, what does that *really* mean? Who gets to define “evil”? When climate gate broke we saw alarm bells going off and we saw the powers that be jump into HIGH gear. They started to circle the wagons to save CAGW. I remember how incredible it was to see Arnold Schwarzenegger just days later saying that CA has a good solid plan to go ahead with carbon trading. (in other words, pretend everything is ok, and we going ahead!). Up in Canada, right after climate gate, Google started playing views of Al Gore with ONE CLICK from the main Google page. These videos would play WITHOUT me even having search anything! So, one click form main Google main page, and out pops Al Gore! The above is a precious video during that special time when climate gate broke. We all remember that special time, but it also exposed so many people in the wrong way and their true colors. I mean, if the popular press is so behind AGW, then why would not a search engine like Google do the same? I do not believe that in ANY other time one mouse click from the MAIN Google page would START a video of propaganda in this fashion. So, this was A RARE chance in history when these folks showed their true colors and thought they could sweep this under the rug and nullify climate gate. Note that Al Gore is a special advisor to the Google board of directors. Google is on the list. Note also, now blogs are beginning to use a Facebook-based identity checker. I may have to set up a spare computer that never visits my Facebook account. It’s getting harder to be anonymous these days. Rataliation for stating what you really think is a fact. Effectively, this approach is looking for a crowd-source blocking. There are those who would use this type of un-checked voting to repeatedly vote to block a site they consider ‘the opposition’. I would expect some to even be willing to avoid any checks at multiple voting that Google may attempt to put in place. Therefore, Google would block WUWT – and probably may even agree with the blockers – claiming that it was a ‘neutral algorithm’ but hope nobody notices the impact. To my mind this just shows completely inept, less than logical thinking by Google developers. Nevertheless, having found that the outcome is to reduce traffic to ‘opposite viewpoints’ the managers of Google will continue to allow it. Wait till closer to the election when Republican candidates will find themselves blocked by Google. Evidently success has gone to their heads to the extent they feel they must direct and restrict the information we seek so we can make better decisions. Google is now acting like the liberal MSM that not only filtered the news but explained it to us to justify the news they delivered. I cannot think of a more arrogant and pardon the expression jackass decision by Google. Bing is looking better for the availability of drop down choices and speed. If you want the best search engine, and the one that google is supposed to have stolen, try http://www.altavista.com/ . It was developed by Digital Equipment Corporation software engineers years ago and is still the best. I know that search results can be skewed by “google bombing” where a simple script is used to repeatedly search a specific site to skew the search ranking to the bombers advantage. I don’t think for a minute that the warmistas are above this behavior. I am not very internet savvy – just enough to get by. So if this thought is wring, I apologise in advance. If one went to a search engine ‘home’ page and then searched for WUWT – would it ensure that WUWT keeps getting search hits? and thus ‘up’ the search rankings? I don’t visit many websites and use my drop down address bar menu to ‘recall’ the WUWT site – I’d be happy to do a ‘search’ everytime if it helps – yes, I know I’m only one person, but I do check the site a few times a day (usually). Microsoft used to be referred to as the evil empire. “Don’t Be Evil” doesn’t mean don’t do bad things; it means don’t turn into Microsoft. Anthony, I think you and others have valid reasons to fear Google. They have the means to control what people are seeing/thinking, and they’ve proven since their first interaction with China that they stand for nothing other than themselves. They broke their “dont be evil” right away when they realized they would have to compromise on free speech in order to get access to China’s market. They’re slimy and clever and they control the worlds information hub. Yes for all those reasons we should watch them closely. That said, I don’t think we have anything on them yet, given what you’ve shown in this post. Clinton wants some kind of UN or Federal agency to ‘police’ and correct internet rumors. Cass Sunstein is another one who has expressed similar thoughts. I gotta believe that AGW is the biggest ‘rumor’ target they have in their sights because the estimated yearly carbon trading market is said to be worth $20 trillion a year. Given that many of our major banks (most that control our federal reserve and hence, our government) have carbon derivates ready and stand to profit from carbon trading by other means, I think we are essentially hosed. I don’t see us winning this issue, no matter how many holes we find in the climate science. I’m sorry – but comparing GOOGLE and GOOGLE CHROME are like comparing a VW – Bug with VW-Ultra Sedan. Ya they both are made by Volkwagon … but …. If you actually (and I did) a Google (non-Chrome) search – you will find this “Block” feature – NOT PRESENT! Google Chrome is just that – FULL FEATURED – the “Block” is not “censorship” anymore then Parental Control is ‘censorship’ or Spam Block, is “Censorship”. With your private features you get to “make the call” … Before we cry “Foul” – make sure it is! Google and Google Chrome are not the same software .. it’s called “Chrome” for a reason .. more power, more INDIVIDUAL features, etc …. this is not “censorship”. I just did a google search for “Climate Blogs” and WUWT was the 6th listed. Climate Audit was number 1 followed by Real Climate, Climate Progress, another hit on Climate Progress, a couple more sites that are to some particular article and then WUWT. I did the same on Bing and WUWT doesnt make even the first 6 pages…. Youtube/ Google caught censoring videos at government request. Read the article and click the links included for yourself and see the youtube censorship screen come up. On my version of Chrome there’s a site rating icon just to the right of the address bar. For WUWT it’s greyed out because of “too few votes”. Surprised me. Over to you guys….. I do not use Google for anything anymore. Personal boycott. Using startpage.com for over a year now. Boycotting YouTube as much as possible too. Don’t do business with evil. Bing = Microsloth + evil. May 20, 2011 … Former meteorologist and weather expert Anthony Watts maintains this site, skeptical of the man-made global warming topic. Sea Ice Reference Page | Watts Up With That? A note to WUWT readers | Watts Up With That? Tips & Notes to WUWT | Watts Up With That? 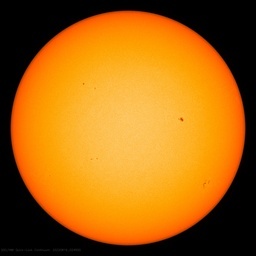 New WUWT Solar Images and Data Page | Watts Up With That? WUWT Ice Survey Shows Thickening Arctic Ice | Watts Up With That? got tons of links to, and about WUWT. Set it to your default search engine for 1 week. At the end of 1 week I am certain that you will switch like I have and many others have too. Have you considered talking to Google and asking them what is going on? Let me speculate wildly (which seems to be the fashion right now). Much of the content on WUWT also appears elsewhere. You reprint essays from other sites and many sites reprint original material from WUWT. It is possible that you look, to the Google Robot, like a content scraper. That would certainly push down search rankings. Of course, it may be nothing of the sort. It may easily be that Google are favouring “right-thinking” sites like Real Climate. But I think that a discussion with Google would be a good starting point. If they’re being evil, it won’t help — but it probably won’t hurt. If it is just a mistake, they will quite possibly fix it. Using Google Search on say “TARDIS” clicking a link and returning to the search results allows you to eliminate the particular domain from your search results as well. When logged in at the bottom of the search results preference page there’s a section on blocked sites, with a Manage Blocked Sites link, where you can remove one or more of the up to 500 sites in the blocked sites list or add links to be blocked manually. You have the ability to censor your own search results, in general usable to qualify results to remove ‘noise’. The danger inherent there is in not being remembering that you blocked a site and later count on not finding it as presenting some authoritative result. It would seem to block groups sharing common interests not held by Google Search users at large there should be a tool to alter the gestalt view of the blocking filter by voting things up. There may be an expectation that users of Google Chrome subscribe to the Don’t Be Evil mind set and aren’t expected to act capriciously. That might not be a valid view when one considers organized efforts to delete emails from public records. Google is personalized, and so it shows us what we want to see. After the positive reinforcement, it suggests purchases taylored to our desires. (Note, I did this same search with Google.com.mx 30 min before. First WUWT was #19. List should be posted above, but has not yet appeared. Just tried “f-word fusillade” on Google and the first suggested string was … “f-word fusillade.” WUWT’s “Friday Funny” post was the first hit. No suggestions for blocking. I use Firefox 4.0.1. Apparently the results are indeterminate at this time. Wow. I would not have believed it if I did not see it for myself. Search pages and screen capture saved. Why am I thinking of the word “unperson” now? So the good news is even without honest search results you are getting millions of hits a day. You are not the first and won’t be the last as the politicization of search get fined tuned. It will happen to other search engines as well once they become more popular. Bill Clinton now wants a Ministry of Truth for the internet. Sound familiar? Only approved stuff will be found by searches is my guess as to how they will implement it. The way around it is to use other alternative media to spread the site directly to others. Stuff like Facebook, Twitter etc. Good old bumper stickers and T-shirts are not bad either. You will need to be creative at getting the site’s name into the public mind. 4. www facebook com Join Facebook…. 7. wattsupwiththat.com Former meteorologist …. Search for ‘climate friday funnies’ gave WUWT as first four entries. It also does not register IP address. Google censorship is rampant as far as I am concerned. Google “global cooling” and you get 3,230,000 hits. Bing “global cooling” and you get 15,600,000 hits, about 400% more hits. Lots of Google-sifting going on! google themselves being the biggest “content farm” in the universe! some months ago, google took away the “search within results” feature, which was the only good reason to use them in the first place. despite the anger of researchers in particular, who were using that feature to good effect, google claimed it wasn’t actually a feature that functioned the way everyone using it knew it to be functioning, but in some entirely unreal way that made it an unnecessary and dispensible feature. no-one on the forums i visited believed them. True, Michelle Grattan was totally incorrect on a number of other occasions, difficult to see it at the time as journalistic licence. I see you have escaped censure with other naughty words also. In fact I am surprised that you state you live in Tasmania (Australia). Brave statement. But then having quolls as parents probably saves you. All Right All Right ‘Ants’ piece was hilarious. Thanks for that. Another search engine is . It’s claim to fame is not tracking and recording your IP address, and selling them to advertisers etc. For more than the default 10 search results, change the settings in the Advanced settings webpage. No need, we knew that and self-corrected. As hopefully Willis did! I have avoided using Google for a while. My issue is that it stores all the information about your activities. The reason is to target advertising but they have been known to ‘cooperate with the authorities’. I have no idea if Chrome or Android does the same. To correct the comparision, here is the Bing result. 2. oarval org /Termostato Junio 14 2009 Thermostat Hypoth. 9. www spoke com Construction Mgr. 18 wmbrigs com p=2197 Mr E responds to statistician. 19 climaterealists com id=7408 Dear Googlefolk. 20. camirror wordpress com 2009/11/25 FOI Request. I just did a yahoo, google, bing, and dogpile search for climate blogs. Dogpile was the only one that brought up WUWT on the first page of listings. Possibly off topic, but Google apparently really does censor search results when someone convinces them to do so. I would like to try a controlled experiment to count hits sometime. D. Patterson said “Another search engine is . yes its personalized. Again i’ll suggest that people use the labs version of google and start hitting the plus 1 for WUWT. Happy to report, I only use Sheriff BING, bing, BING!!! Ricochet Rabbit search engine nowadays. At this time, I think there are many otherwise well-educated and good-intentioned people who see objection to Climate Change abatement policies in the same light as primitive people would once have viewed the objections of a successful farmer to sacrificing his best animals to ensure good weather as required by their local revered expert in the occult. I suspect that many of our leading social media are still dominated by people with this outlook. Google is total EVIL. They definitely have an agenda. The effectiveness of google search engine is diminishing each month in favor of more paid hits and propaganda driven material. I’ve decided to keep book on some google search results just to see what changes over time. I’m also in Mexico this week, so comparing .com and .com.mx might be interesting. Here was a search with a couple of bizzare twists…. 3	wattsupwiththat com 11 Aug 2010 More Gunsmoke “Very good effort, Willis…” is this a snipet from a COMMENT? YES! To Thomas Aug 11, 2010 at 3:47 a, about the 7th down. WUWT??? 19	scienceblogs com 9 Dec 2009 W.E. caught lying about temp. Comment #3 a WUWT link, but the snip is from comment #7. Anyone seen that before? #1, #5, #9, #10, #18 are definately second sourced pages back to WUWT originals. The hypothesis that Google has seriously goofed in its “content farm” algorithms should be considered seriously. How about this in relation to filter bubbles and your normal selections setting up bias in your further searches. Good link Richard. Precisely the issue. You might want to spell his name right and search for |Willis Eschenbach|. The first hit at Bing and Google was Deltoids’s “Willis Eschenbach caught lying about temperature trends”. Google lists a cluster of three WUWT posts after that, Bing listed one. Filter Bubbles may play a part, but this is something much more basic going on. How does any algorithm weigh [A] ahead of [B]? “GISS” is not found in either [A] nor [B]. It just so happens than “GISS” is in [C]. So it should have been ahead of the others. Yet my search returns [A] as #1, but neither [B] nor [C] in my top 20. Figuring out Watt content is original and what content is copied from third hand sources is hard to do. I’ll give Google that. We wouldn’t be happy with link farms being listed as #1 either. This isn’t a filter bubble issue. I think it is an anti-link-farm-algorithm gone awry. Anything I can help with to see if there is a country difference? I gave up Google 3 years ago, but can search from here. Seems to me you have an older problem because your graph also shows a drop just about Climategate time in Nov 2009. I would have expected a rise. This is a total outrage and someone at Google had better have an explanation for that.